Looking for Loft Apartments for Rent Near Streeterville? Property 106 is a loft style building in the heart of Streeterville. The industrial-style interiors include hardwood floors, stainless steel efficient appliances, gas ranges, and spacious closets. 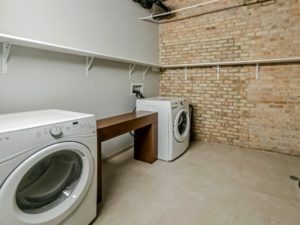 Although all apartments include in-unit washer and dryer, most units also include full sized laundry rooms– a rare luxury in a rental apartment. Exposed brick and ductwork with high ceilings are just a few of the accents that give these loft apartments charm. One of our favorite features is the NANA wall– accordion style glass walls that lead to your balcony, open fully, and turn your living room into an indoor-outdoor space. Property 106 includes plenty of indoor, outdoor, and pet amenities. Relax by the fireplace in the waterfront lounge, which opens to the building’s private portion along the Riverwalk. 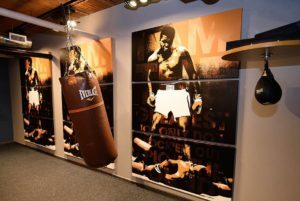 The fitness center is complete with state-of-the art equipment including TRX straps, training ropes, heavy punching bags, free weights, cardio machines, and free group fitness classes led by ChiTown Trainer. 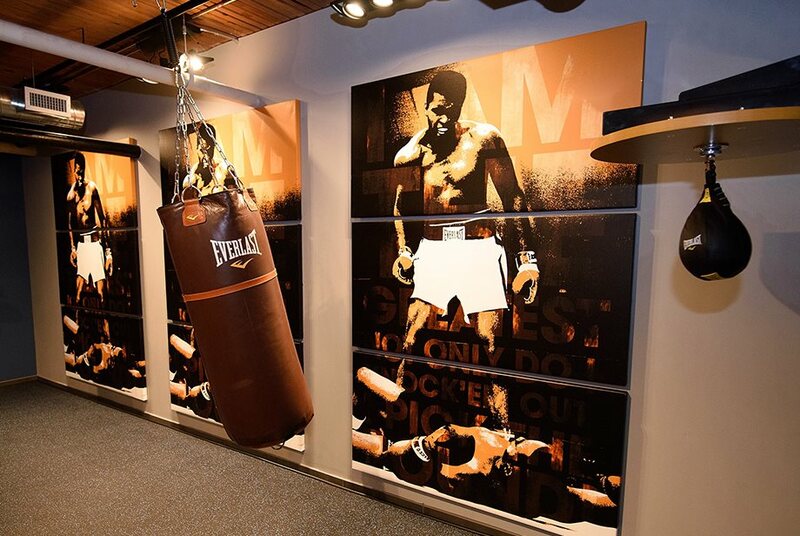 The movie screening room indoor lounge are great spots for entertaining groups, large or small. This rental property also offers multiple conveniences including an onsite business center conference room, dog wash station, Pressbox dry-cleaning and laundry service, 24-hour front desk concierge, and onsite maintenance. 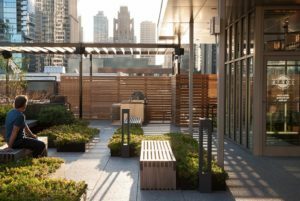 Head outside to enjoy the expansive rooftop terrace, complete with grilling stations, outdoor wifi to work from home, and plenty of spread out seating for entertaining your guests or having some quiet time to yourself. 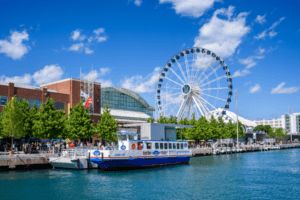 Streeterville is the place to find tranquility between Lake Michigan and the tree-lined streets, or lively, fast-paced Chicago action steps from downtown. Stop by one of Streeterville’s many brunch hot spots or grab tea at the iconic Drake Hotel. 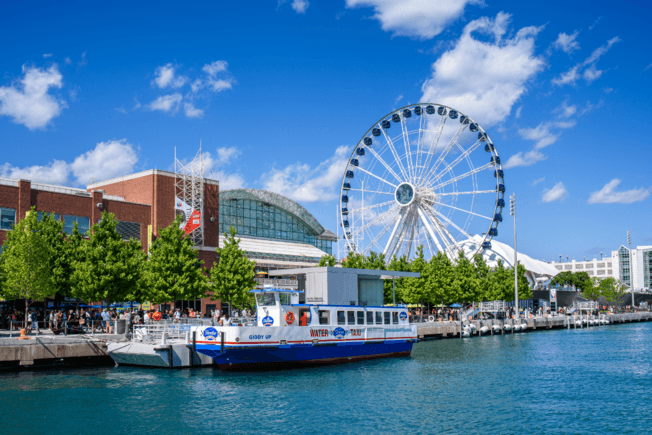 Check out the famous Ferris wheel and fireworks at Navy Pier. This neighborhood is also home to the Museum of Contemporary Art, Loyola Law School, and Northwestern Hospital. 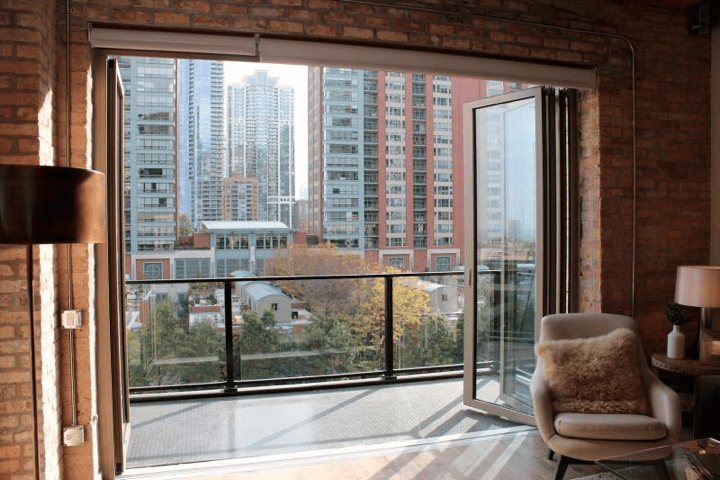 In addition to being within close proximity to the Loop and walking distance from the heart of downtown Chicago, Lakeshore drive runs through Streeterville, allowing easy access to the neighborhoods further north or south. Avoid commuter traffic by taking Lower Wacker Drive or one of multiple bike baths, which both run directly through Streeterville.